the most exciting event this week has been the publishing of Milton Contact's second book, Nimrod - a Memoir of Mischief and Mishap, by Peter Newman Brooks and with illustrations by Ian Levene. It is a tale of a siamese cat, Nimrod and his nine lives, told by his 'Obliger' with occasional comments by Nimrod himself. 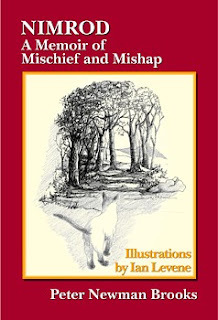 More information on the book can be found at http://www.miltoncontact.com/book/nimrodmemoir.htm!